The redesigned Honda CR-V goes on sale in Canada this winter but a date hasn't been set. LOS ANGELES -- If there was ever a time for Honda's Accord and Civic to sweat their future, this would be it. The crossover segment is on fire right now, fueled by changing consumer demands and bargains at both the gas pump and the loan office. Honda itself is riding high on the crossover trend. Its CR-V has been one of the most popular utility vehicles in the United States since hitting the market in 1997, and the brand has a compelling redesigned version queued up to go on sale in Canada this winter – Honda hasn't set a date — and on Dec. 21 in the United States. But with characteristic moderation, Honda doesn't see the 2017 CR-V replacing either the Accord or the Civic as its most notable seller when the crossover arrives. "I don't think there was ever a mindset during the development process that this was so big that it could take over the role as the sales leader for the division on a long-term basis," Jeff Conrad, general manager of Honda, told Automotive News at the press launch for the CR-V.
Conrad: CR-V not expected to "take over the role as sales leader." 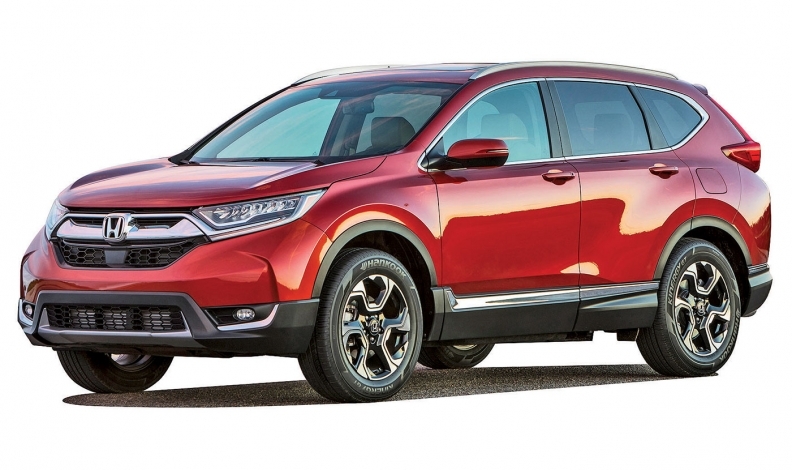 Instead, Honda treated this CR-V as an equal partner to the Accord and the Civic; the automaker expects all three models to settle at similar sales numbers, once they're done riding their respective sales waves. This year is the year of the Civic, the first full calendar year of sales for the 10th-generation compact car. Sales in the United States were up 11 per cent through November, enough of a jump to make it Honda's best-seller for the year with 335,445 units sold. Next year will likely belong to the CR-V. Not only will it have the industry's compact utility vehicle-friendly winds at its back, but the outgoing model has managed to hold its own against intensifying competition, despite being late in its life span and capacity-constrained. Sales are up 1.6 per cent through November to 319,557 units. In Canada, the Civic remains the top-selling car for Honda, but sales have been flat through the first 11 months of 2016, up less than one per cent over the same time period last year. Meanwhile, the CR-V is growing in popularity, with sales up 14.5 per cent through November this year. Honda has sold 41,791 units in the first 11 months of 2016 versus 36,483 during the same months in 2015. Looking to shake loose more CR-V vehicles to keep dealer lots well-stocked, Honda has added Greensburg, Ind., as a third location for CR-V production; it joins sites in East Liberty, Ohio, and Alliston, Ontario. But its production sites are flexible enough to handle car production as well. 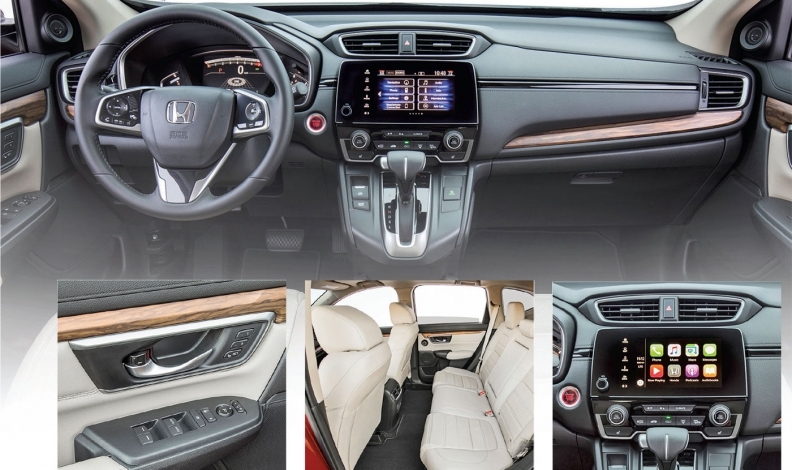 The redesigned Honda CR-V includes an optional 7-inch infotainment touch screen as well as more rear legroom. "Over time, as the market changes, as others traditionally run from one side of the ship to the other side of the ship, we've tried to stay balanced with our portfolio," Conrad said. The depth of improvements on the 2017 CR-V will also help it fortify its position on the best-seller list. It rides on a new modular chassis it shares with the Civic and forthcoming Accord, giving it a similarly refined ride. That maturity also carries over into the cabin design and execution. Pricing is virtually unchanged. Power on all but the base LX trim comes from a 1.5-litre turbo-charged engine that makes 190 hp while being more efficient than its non-turbo predecessor. Safety for EX trims and above is increased with standard gear such as pre-collision braking, road-departure mitigation and adaptive cruise control. All this bodes well for the CR-V in 2017. But unlike much of the industry, Honda is still optimistic about its cars, particularly the Accord. A new generation of Honda's venerable midsize sedan is set to debut next year as a 2018 model. Its release will coincide with the end of the new CR-V's initial sales spike. Once the Accord spike levels off, Honda expects the Civic, Accord and CR-V to be equals on its sales charts. 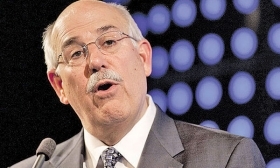 "The Accord is still going to be an awfully important player," Conrad said. "At that point all three [models] are going to run neck and neck."